Oddly as it may sound, I've been thinking about kitchen sinks lately. 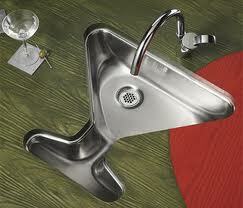 Have you ever googled kitchen sinks? You'll be amazed at the results! Endless photos and info all about sinks...sinks of ALL kinds. Retro sinks, practical sinks, elegant sinks...sinks that left me wondering how or where such a sink would find a place to fit in at. 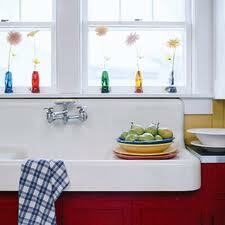 The cleanest farmhouse sink I've ever seen! 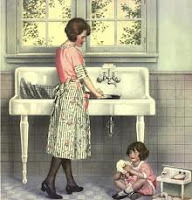 Everyone knows sinks are for using, except for maybe some of the most elegant of sinks..which may likely never see a scrubby or a muddy pair of kicks. So why are only neat and tidy sinks shown in my search results instead of "real" sinks? Since so much can be told about the sink keeper by it's contents...do the keepers have something to hide? 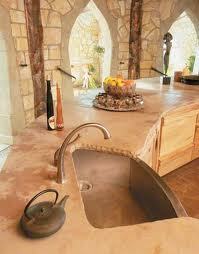 Perhaps they want to remain anonymous or maybe give us a bit of sink envy? Well...this sink keeper is boldly bearing it all with one quick pic of one of my favorite spots in the house. After all a "real" sink deserves to have a moment in the spotlight too! "Real" sink contents: favorite scrubby, baby lamb bottles, delicious recipes from friends, priceless love notes from my kiddos, mother's day flowers, gingham curtains and a window to peer out to my 2nd favorite spot in the house...the porch!